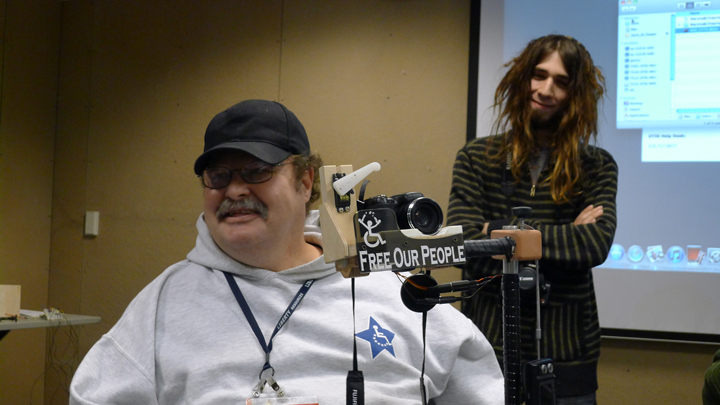 Being a part of this experience allowed me to to better understand the types of struggles that individuals with disabilities endure on a daily basis.This experience has provided me with insight for how to effectively utilize design psychology when building for individuals with disabilities, ultimately allowing me to be a better designer or maker in general. I have been enlightened by the amount of enthusiasm that Michael has put into the project. It was Michael’s enthusiasm that pushed me to be dedicated to completing this project. I am happy with the results seeing now that the project is finished. The project works just as I had foreseen, if not better than I had expected. The reduction of physical and cognitive complexity that the Arduino camera mount provides is amazing. Michael is able to take photographs while in transit and they are quite good! This Arduino project allowed me to break out of my shell. We had a breakthrough sharing knowledge between each other. Each of us always had something to offer the other. There was a heightened sense of involvement and I felt as if the knowledge that I offered was supporting the project’s progression. 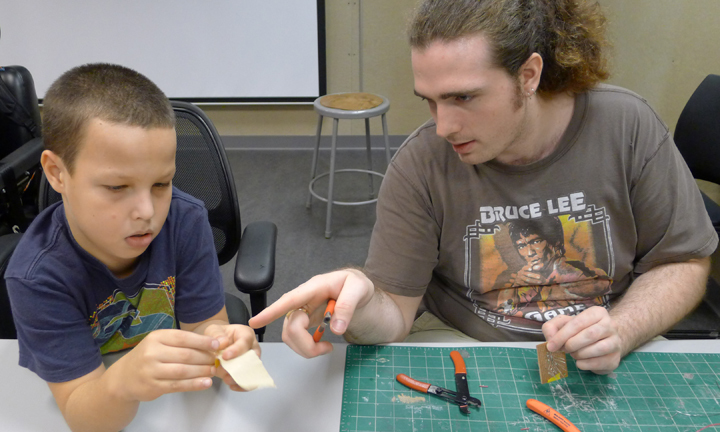 I was thrilled by my son’s involvement with the Arduino project, seeing as he was learning completely new information surrounding Arduino and circuitry. I think that this project is a perfect solution for other with disabilities to enrich their lives and give them the ability to take photographs. 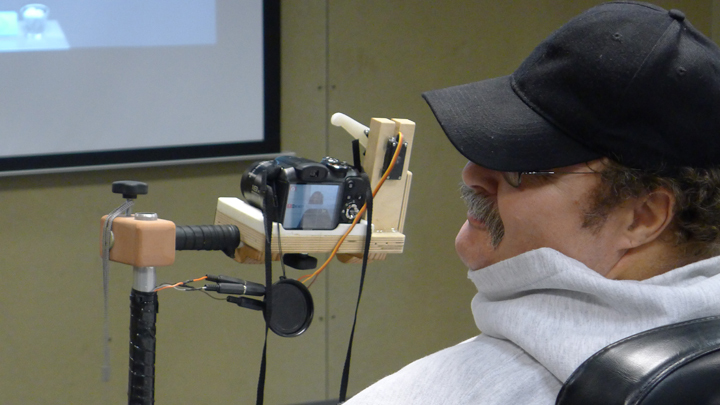 This Arduino project is a new beginning for the advancement of individuals with disabilities. Others see this project and they develop their own visions for what is possible with the use of Arduino and circuitry. This entry was posted in Uncategorized by joelovesnetneutrality. Bookmark the permalink.